Posted on October 13, 2018 by Tish Farrell	This entry was posted in Heritage, history and tagged #SixWordSaturday, Callow Farm, Derbyshire, gate stoop, Inclosure, Tish Farrell Writer. Bookmark the permalink. I would have agreed not too long ago. Now I think there is deliberate intent on the part of the few, and one wonders how much more the planet is going to stand. Or at least I’m sure the planet will remain in some form, but we won’t be too comfortable living on it. I can’t help agreeing with Fairlie. Once again, we see greed and privilege at the root of so much that is wrong with our world. And once again you have taken a small thing like the gatepost and used it to create a well-researched, fascinating story of so much more. Thanks Tish. I’m glad. 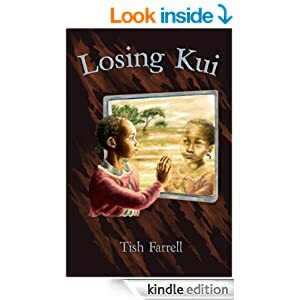 I really enjoy your writing Tish. You weave the small detail into the big picture so very well. I got bamboozled by the gate posts. I started out understanding but then I think wine impeded my judgement. Not for the first time. 😕 I do know that as we drove around England we were always passing imposing entrances. Oh yes – the huge classical gateways with the big, big gates. Was worried you might be being blown inside out in Portugal. Heard an unexpected gale came your way. Take care, both. It’s the same everywhere, isn’t it? Yes. The greed of the few is global, the loot is in the tax havens and the whole system works to impoverish the poorest people to death and take all their resources, preferably by making them extract it for nothing. I’m thinking particulary of DRC Congo and the coltan mines – the must have resource for all our inter-web technology, phones and tablets. There are those who argue that without the enclosure of the commons giving rise to private property rights and all, we would not have had the current state of development. Rousseau thought the person who first enclosed a piece of property and called it his, has contributed the most towards our civilization ( I would prefer to call it culture and not civilization). I suppose it depends on whether you think the capitalist march to total earth pollution and economic inequity across the globe = progress. The enclosure model of course underpins what happened next with colonialism, and we both know the ‘benefits’ of that. Btw: You weren’t winding me up, were you,Mak? And of course I count it as one of the best of all scientific improvements that I can sit in Shropshire and ‘talk’ to you in Nairobi 🙂 I hope you are well over there. Winding you up? Tish that would never be my intention. I think you did make a good point when you talk about private property being of recent origin and how it has seen enclosure of the commons by a few. I am well over here. Though Nairobi weather seems confused of what it wants to be: rainy, dry and hot and everything in between. Good to hear you’re OK. Our weather is weird too. Downspours and hot wind. I can’t make sense of the gates, but I have a vague memory from school of the open field system at Braunton in north Devon. I think I understand the gate post now. 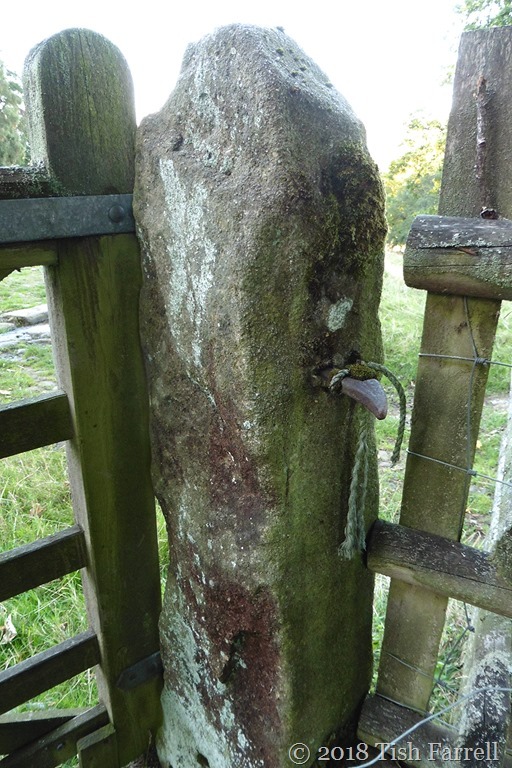 The green ash or sallow is the hinge, looping and holding the gate in place. However it seems an awful lot of hardwork to bore out the stone to use wooden, not metal, hinges. Then I suppose the wooden loop hinges would be cheaper and quicker to replace than metal. Thank you for that, Brian. I’m thinking they were simply using what was to hand – stone and tree parts. Latches and hinges on gates would appear to be quite a late development in Derbyshire. Before enclosure the only need they had to enclose things was presumably when they were gathering in sheep for sale of for shearing, or for rounding up stray livestock as in the village pound. Not sure now when they made an appearance. It’s actually quite hard to imagine a landscape that wasn’t filled with walls, hedges, fences and gates. There wouldn’t be much in the way of roads either – only tracks and paths and packhorse routes. Reminds me of a ‘joke’ I once heard….a young man was resting under a tree when the landowner approached him. ‘Get off my land’! he shouted. ‘What makes this your land?’ the young man countered. ‘ Well, it was given to me by my father.’ was the reply. ‘So how did your father get it?’ ‘It was given to him by his father!’ ‘And how did his father get it?’ ‘ It was given to him by my great grandfather!’ ‘So how did your great grandfather get it?’ ‘Given to him by his father!! Come on now…move along…’ ‘So how did it fall into the hands of your family in the first place?’ ‘We fought for it!!!’. Oh I like it, Kat. Thank you for that great story. Gates and enclosing the commons. Fascinating post. You bring memories of my history lessons with all the talk of gates, common land and open field systems! Every time we return to England the enclosed land feels horrid after the open land of the Algarve. 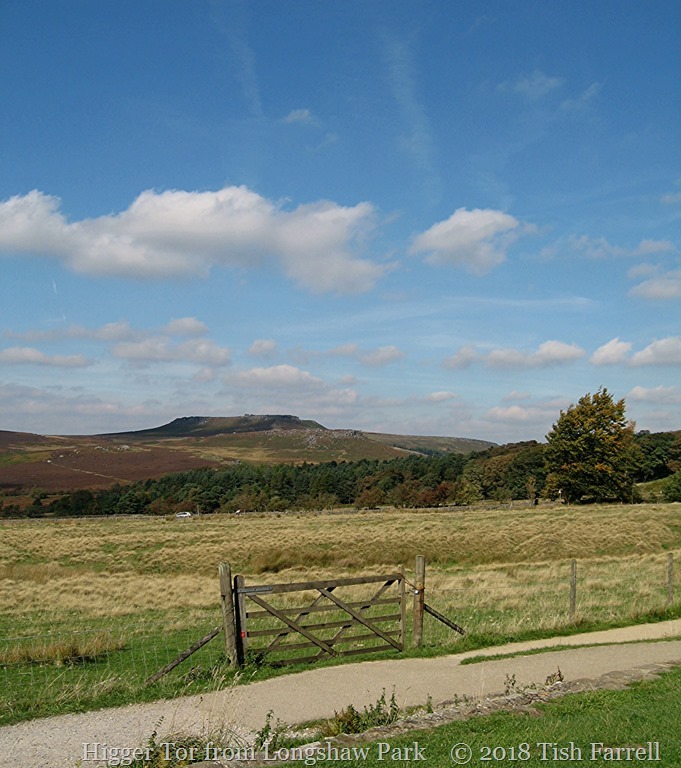 Whilst land is owned it is rarely enclosed in the hills, and the original trails are still used. Consequently it feels much more open and accessible. And their life approach feels the same. We are but trustees of the land not owners. Well said, Becky. And thank you for giving such a brilliant comparison from your own experience. Great research Tish. That’s an interesting history, and as others have pointed out, the idea of property being a recent thing is something that’s not usually in our conscious minds when we think about the past. Thank you, Swarn. Shared resources, open access etc are not convenient ideas in our English current Tory run/old school tie society. I think it may also explain quite a lot of the recent (more than bonkers) Russophobia: – the mega-capitalists are in a dither over any socialist tendencies. Or any notion that suggests a better way of doing things for the majority. Very , very interesting from any point of view. Fearing our poor Earth could somehow take revenge on our brutal behavior…. Thank you, Anna. That is a disturbing thought, but we do behave so heedlessly, as if what we do has no cost. 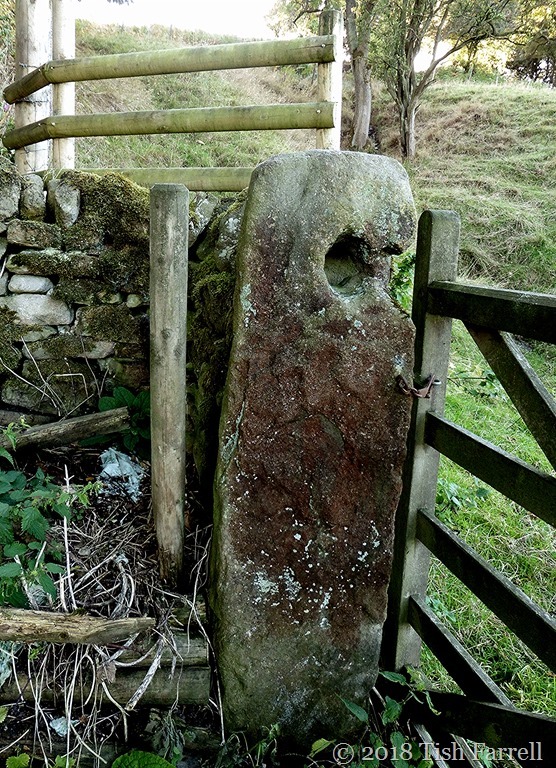 In a way, the story of the gatepost is a preface of the technological revolution. Now that we have hinges on our doors and take them for granted, it is hard to imagine how it was done before modern machinery. Enjoyed the post. You managed to include so much in your story. Your approach makes history fun for all. Thank you, Shimon. So glad you found this entertaining. In a sense, I suppose it is also entertaining, But my attitude towards learning history is not that of amusement. I am both fascinated and awed by the stages of development of man and society. For me, the stages of social cooperation as you have described here are much like observing the changes of a human being… who is the same person at age 16 when occupied with camouflaging his acne as he or she is at age 30 when working all day in order to provide food, shelter, education and culture for his or her children. In our tradition (recorded in the old testament), our forefathers laid down rules for the harvest of agricultural growth which included an amount of the harvest which should be left on the field to be gathered by, and used by the impoverished. As society becomes more sophisticated, it continuously tries to maintain its obligation to care for the poor and incapacitated. There are cases throughout history when the government, whether in the form of royalty or elected officials awarded unfair benefits to the rich. But eventually, if the common good was breached by personal interest, the society would find ways to reorganize and reestablish fair laws. I would guess that most people in England consider the many services provided by welfare agencies in Great Britain of today no less fair than the accepted practices hundreds of years ago. All in all, I believe that the study of history could be compared to the self knowledge of a human being. I agree with you about the study of history as a parallel for gaining self-knowledge. As a discipline, though, it has tended to be rather undervalued in Great Britain, but then until the 1980s at least emphasis in schools was much on the great and the good, plus chronicles of kingly pursuits etc. Our current Tory government would prefer that kind of approach. These days school teaching of history has more emphasis on everyman, but in disjointed topic segments e.g. the Romans; the Great War, thus rather missing out on the perceptions of change and continuity that inform our understanding. Nor are we very generous to the needy these days. Our welfare services have been shrunk to the bare minimum, and the people who may need assistance considered a burden on society. We live in mean times.